Hammond, Indiana – James Cross acting pro se, and Zip-A-Tee Inc. of Michigan City, Indiana sued in the Northern District of Indiana alleging that Coalition to Advance the Protection of Sports Logos (“CAPS”) of Coeur d’Alene, Idaho wrongfully interfered with Plaintiffs’ use of Plaintiffs’ intellectual property, including both trademark and patent protection. Also named as Defendant is Debevoise & Plimpton LLP of New York City. 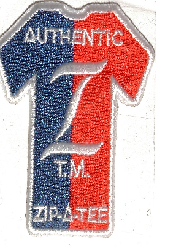 Zip-A-Tee owns Trademark Registration No. 4,343,916, which was registered by the U.S. Patent and Trademark Office, and Patent Nos. D580,633 and D581,136, which were also issued by the U.S. Patent and Trademark Office. In 2012 and 2013, CAPS sent several letters to Zip-A-Tee claiming trademark infringement and counterfeiting by Plaintiffs of various trademarked sports logos. Among CAPS’ assertions was that Cross and/or Zip-A-Tee had offered for sale jerseys bearing “Lakers” and “Bulls” trademarks. CAPS also contacted GoDaddy.com and other website-hosting companies asserting that CAPS’ intellectual property had been infringed. In response, those companies apparently suspended Zip-A-Tee’s websites. Plaintiffs ask for a declaratory judgment of non-infringement and injunctive relief. Plaintiffs also ask to be awarded statutory damages of $700 million “for each website removed by CAPS member Infringement request and claims [sic]” as well as $500,000 “per domain name change.” Additionally, Plaintiffs request an award of punitive damages of $5 billion due to the “willfully [sic], wanton, egregiously [sic] and insidious” nature of Defendants’ conduct. The suit was filed pro se by James Cross of Zip-A-Tee Shirt, Inc. The case was assigned to Chief Judge Philip P. Simon and Magistrate Judge John Martin in the Northern District of Indiana, Hammond Division as Case No. 2:14-cv-00451-PPS-JEM.